Hi Everyone, Here we are with Daffodil Delight, this week is another shade of Yellow and I really do struggle with yellow. But never mind it is nice to have a challenge. This week my card is a stepping card, I hope you like it. Even though I find Yellow to be a challenge colour for me I really did like how this card turned out. 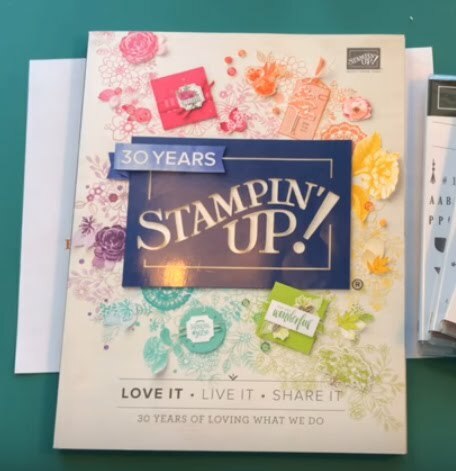 It is such a shame that this stamp set was only available for August 2018 as I think it is so lovely. To Catch up with the rest of the Blog go to Catherine's Page Here. I think you have done a great job with yellow as the challenge tone, and the colouring of your flowers is so pretty. 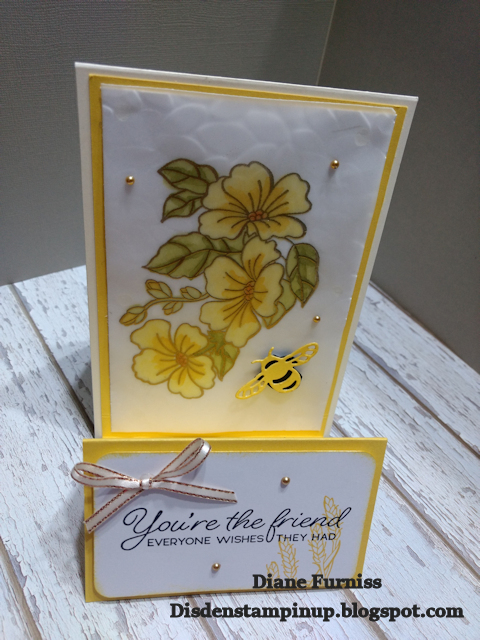 Dianne, your stepping card is great and how cute is your little bee!! 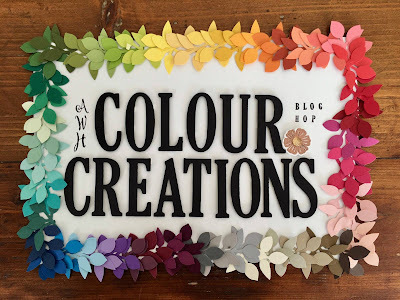 Thanks for hopping along on our blog hop this week. Really pretty card Di, and a great fold. Even though you have found yellow to be a challenge, you sure have done a great job. I am inspired to give this fold a go soon too. Such a pretty card Diane. And I really love the interesting step fold using the Daffodil Delight. 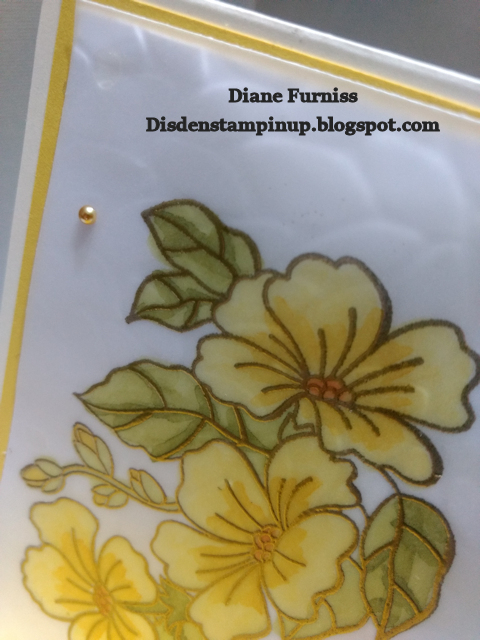 The gold embossed flowers are beautiful as is your colouring. 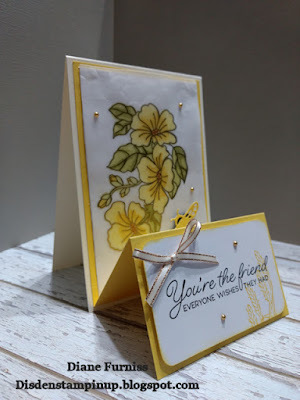 Love the fancy fold and the extra pops of yellow to complete the card. Looks lovely on the vellum. What a great fold too.